WinRAR is possibly the most common name in the industry of Archive Management software alongside WinZip. In my opinion, based on performance and simplicity it supersedes many similar softwares. It offers many functions in a simple interface. WinRAR is the first software to introduce the .rar file which has become very much popular like .zip and .7z. It provides complete support for RAR and ZIP archives and is able to unpack a number of common archive types. WinRAR introduces an original compression algorithm. It is highly optimized for multimedia data and provides high compression ratios on executable files, object libraries, large text files, etc. WinRAR supports files and archives up to 8 exabytes in size, provided that file and operating system support that too. The number of archived files is unlimited for all practical purposes. 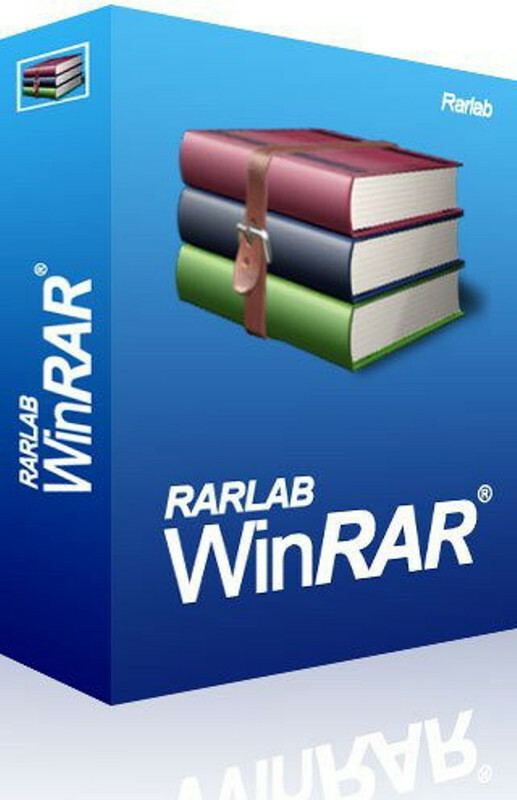 WinRAR provides complete support for RAR and ZIP archives and is capable of extracting CAB, ARJ, LZH, TAR, GZ, ACE, UUE, BZ2, JAR, ISO, Z, 7Z archives. With WinRAR you can encrypt archives with industry standard AES (Advanced Encryption Standard) with a key of 128 bits. NTFS file security and data streams are supported in WinRAR. WinRAR is capable of creating a ‘solid’ archive, which can raise the compression ratio by 10% – 50% over more common methods, particularly when packing large numbers of small files. WinRAR allows you to create and change SFX archives using default and external SFX modules. You can even create a multi-volume archive as SFX. Recovery record and recovery volumes in WinRAR allow to reconstruct even physically damaged archives. WinRAR offers to add archive comment. Comments are displayed while the archive is being processed. Comment length is limited to 62000 bytes. Small installer size (1.57 Mb) which is not digitally signed. The download is available for Windows, Linux, FreeBSD, Mac OS X and also localized versions. Smooth and clean installation. At the end, it will ask you to set to associate files and set customizations. 40 days no nag trial is available. After that you may continue using the software or see a nag screen every time. WinRAR offers a classic but graphically interactive interface utilizing mouse and menus as well as the command line interface. WinRAR is easier to use than many other archivers with the inclusion of a special “Wizard” mode which allows instant access to the basic archiving functions through a simple question and answer procedure. WinRAR features are constantly being developed by a team of experts. WinRAR Archive Manager costs $29.00 and can be purchased using THIS LINK. Thanks to Angela Weiske from RARLab, I can giveaway 3 licenses of WinRAR Archive Manager. This giveaway will be expired in the midnight of 13th Feb, 2013. I will announce the winners at a later date. Winners will be chosen randomly from the contestants list. This entry was posted in Archive Management, Free Offers, Giveaway and tagged Valentine Week Giveaways. Awesome giveaway. WinRAR is the best archive manager. I’m asking for Windows license. Thansk. Wow, WinRAR, I think the best archiver. Until recently I did not have this program, I used the other archivers. Now I can not miss the opportunity to win WinRAR. I am a user of computers running Windows. WinRAR is the best. This is the best program of its kind. I would like to win a license. I use Windows XP. WinRAR is one of the most popular programs designed to compress and decompress data, which creates archives with the extension. RAR. In addition, WinRAR can extract other types of archives, including the popular files. ZIP. Hello! You’re still one of the infinitely good “boy.” I wish to You Happy Valentine Day. WinRAR is very good archive manager. I hope that I win license. Thank you to administrator for giveaway. Sujay, Thank you for the excellent review and for hosting the giveaway. I agree with the others who have stated that WinRAR is the best archive program available. Super program WinRAR! – Thanks for the contest! Very good software! count me in please! Thanks For Giveaway Sujay Ghosh. WinRaR is the best packer. Thanks for giveaway. Thanks for the awesome giveaway, WinRAR is one of my favorite programs!!! Thanks for the giveaway!!! WinRAR is a great program an one of my favorites. Hope I’m a winner!! The best archive manager. Thanks for this giveaway. Is the best soft for manage archive for me. I hope to win. Thanks for a contest. I use PeaZip, but will try my luck to “upgrade” to Winrar wich is the best file compression application in the market. Thank you for the giveaway. WinRAR is one of the best Archive Manager, it has a good compression ratio than the others are in market. Also we can make password protected archive for security. Count me in. WinRAR is my favorite compression program. I am currently using 7-zip and I really hope that I can win a license for WinRAR. Thank you! WinRAR – my default archiver ever. Would love to win a full-version license, so please count me in your drawing. Good luck to all contenders ! WinRAR is the best. Thanks for the contest. Good luck to all. WinRar is a really the best Archiver! Thanks Insightsintechnology and Angela Weiske from RARLab for this nice giveaway and chance to win a license for best archiver sofware. Best Regards. Mega giveaway! WinRAR is the best archive manager. Thank you so much for giving away one of the best file archiver. Winrar is the best, in fact, the ONLY one to use. Count me in please. Is the best of the best. Is the rar format original. Hi! very good giveaway! please count me in! Winrar is the best. Could absolutely use this. count me in. I’d love a copy. Winrar is the best compression software out there. I love how if you need to uncompress a single file in a bunch of them that the rar format allows you to quickly get the single file without the software having to decompress the entire archive. Winrar is the best! Thanks insightsintechnology for this giveaway! WinRAR is the best compression software. excellent giveaway, i`d like to win a license for this software in order to manage archive files more efficiently. this software has been rated as outstanding and i`d be very happy to win a license. so please count me in. Winrar is a better alternative than winzip. Thanks again Sujay. Always use this software so a license would be great. WinRAR is the best. Count me in please. this is a really great software , thanks for the great giveaway ! So far, WinRAR is still the best out there and will still be the best for me. This giveaway is great. I hope you can count me in! RAR is a popular archive format and has powerful features too. One of them is recovery record and recovery volumes which allow to reconstruct even physically damaged archives. This would allow me or anyone to “archive with confidence”. Excellent giveaway, it is my favorite compression sofware and please count in for a license key. For me WinRar is the Best Archiving Tool Ever. So it is a must have Tool for daily Use.. Please kindly to include me in this Contest. I hope I will win this Giveaway. For me Winrar is the Best uncompressed and compress files ever.. So, include me in this Contest, good deal! I love this Giveaway, thanks!. Great Giveaway. Winrar is Excellent Program. Good giveaway from a very reputed company. In my opinion this is a best Archiving Tool for Windows. Please count me in this contest. Thanks for giveaway. Winrar is the best archiver on the world. It’s very simply to use so begginers haven’t trouble with using it. I want to win this licence so count me in. This software is one of the best archiver. I know it for more than 30 years now. Well, It’s like that : Je n’ai plus 20 ans !, And so must be the developper. very useful program and great give away! count me in. WinRAR Archive Manager… Need I say more! Thanks a lot…..count me please. Best archive manager! Great giveaway! Thanks from a Windows user. It is really great giveaway. I currently use 7zip, but there is nothing to compare with WinRar. WinRar has the best compression ratio, the best algoritm and it is all the best. Please let me win this archive manager. thanks……i hope to be one of the winners. This is a great giveaway! count me in! Very good giveaway! count me in please! That is awesome software. I need it, for I’m short of space on my HDD. WinRar does the greatest job as an archive manager. Please count me in this competition ! thanks..i hpe to be lucky. This is great software and thanks for opportunity to win! Great giveaway. Please count me in! Great soft. Thanks for this contest.